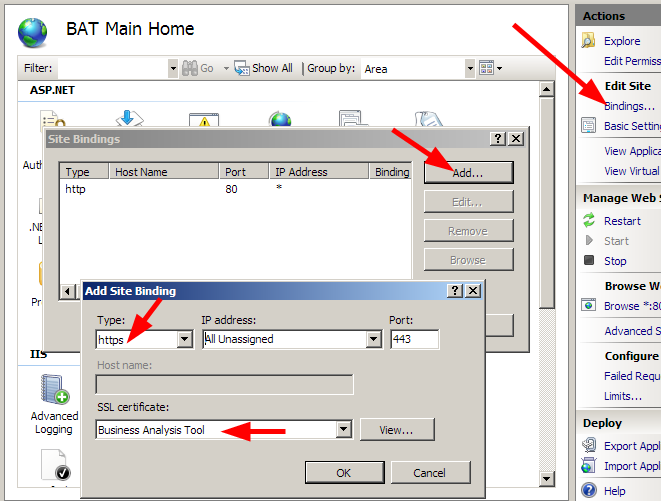 How to set up SSL for BAT website? 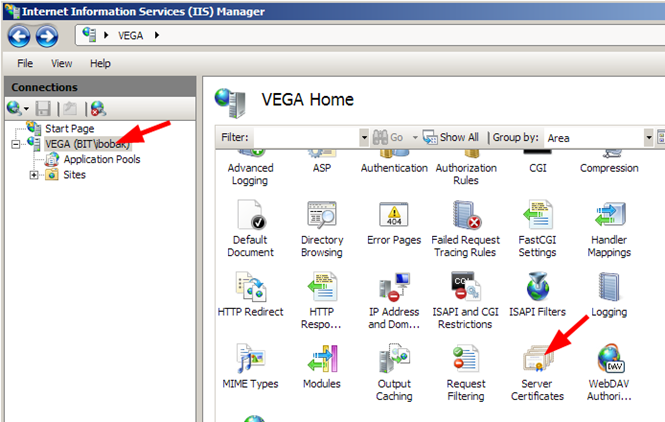 Configure SSL on BAT website. If you already have a company certificate, you can import it here. 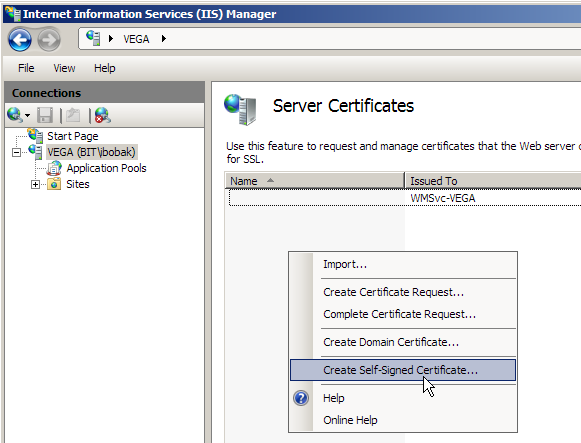 But in many cases it would be enough for you to create a self-signed certificate, so you may select the appropriate item. 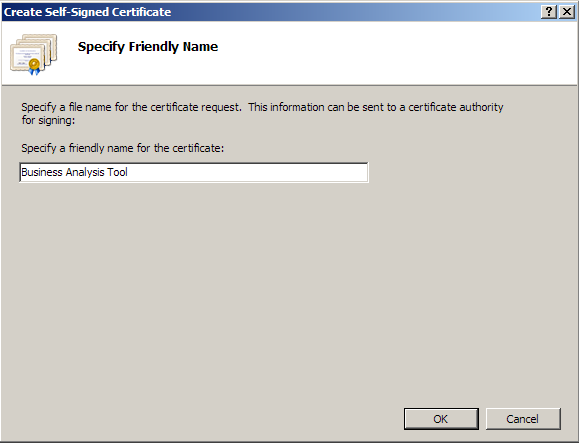 Enter a name for this certificate and press OK. It will appear in a list. After this your web site becomes available via https. 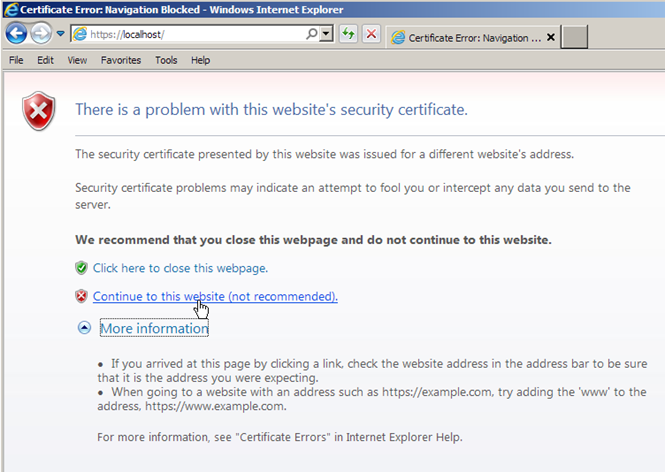 It is normal that the browser doesn't trust your web site – the certificate is self-issued in our case. For testing purposes click "Continue to this website".